The 2017-2018 season of Portland Arts & Lectures features five memorable nights with some of the most influential writers at work today. THIS EVENT IS SOLD OUT AT ALL LEVELS. Claudia Rankine is the author of five collections of poetry including Citizen: An American Lyric and Don’t Let Me Be Lonely, two plays, numerous video collaborations, and is the editor of several anthologies including The Racial Imaginary. The 2017-2018 season of Portland Arts & Lectures features five memorable nights with some of the most influential writers at work today. THIS EVENT IS SOLD OUT AT ALL LEVELS. 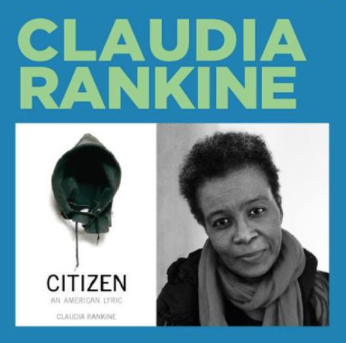 Claudia Rankine is the author of five collections of poetry including Citizen: An American Lyric and Don’t Let Me Be Lonely, two plays, numerous video collaborations, and is the editor of several anthologies including The Racial Imaginary. For Citizen, Rankine won the 2016 Rebekah Johnson Bobbitt National Prize for Poetry, the Forward Prize for Best Collection, the National Book Critics Circle Award for Poetry, the Los Angeles Times Book Award, the PEN Open Book Award, and the NAACP Image Award. A finalist for the National Book Award, Citizen also holds the distinction of being the only poetry book to be a New York Times best seller in the nonfiction category. Hilton Als said: “Citizen comes at you like doom. It’s the best note in the wrong song that is America. Its various realities — ‘mistaken’ identity, social racism, the whole fabric of urban and suburban life — are almost too much to bear, but you bear them, because it’s the truth.” Among her numerous awards and honors, Rankine is the recipient of the Poets & Writers’ Jackson Poetry Prize and fellowships from the Lannan Foundation and the National Endowment for the Arts. She lives in California and teaches at Yale University as the Frederick Iseman Professor of Poetry. Thank you to our season sponsors: Chubb, First Tech Fed, Kell Alterman & Runstein, Lewis & Clark College, NW Natural, Powell’s City of Books,AHA Agency, The Oregonian, and Oregon Public Broadcasting- OPB.